When you are on the Camino one of the wonderful experiences and pleasant surprises is to arrive in a city full of celebration and to take part in the ancient traditions of the area sharing the festival with locals. A wonderful way to add special memories to your Camino experience and journey! 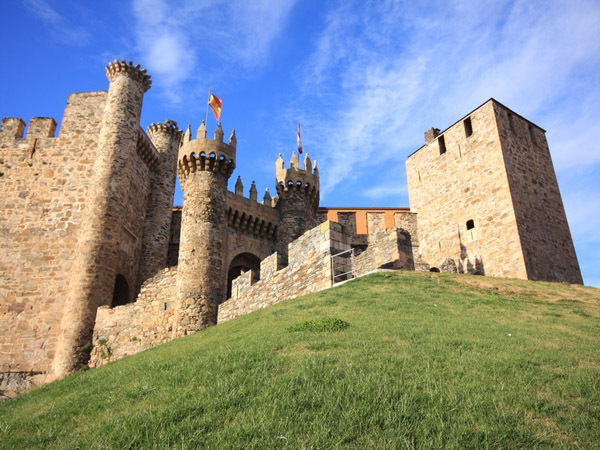 Ponferrada was full of celebration this past July 4 – 7, 2013 with their annual Festival de Templarios. An opportunity to enjoy local cuisine, arts & crafts and enjoy a city full of decoration, people in costume and fireworks show. Google Translate: “The Night Templar is a recreation of a medieval event fantastic. Under the light of the first full moon of summer, Guido Frey Garda, Master of the Order of the Knights Templar, returns to the city of the Iron Bridge with it to seal a pact of eternal friendship and give custody of the symbols found in the sacred land of Jerusalem, the sacred Ark of the Covenant and the Holy Grail. The Templar entourage is received in the Square Temple Ponferrada thousands of medieval garb dressed in parade and guarding the Ark of the Covenant and the Holy Grail, they head towards the castle. There he makes a judgment to the Templar Order. This entry was posted in Camino Travel Tips and tagged camino, celebration, festivals, history, The Way, traditions. Bookmark the permalink.